The Great Big Cupcake CAKE! What could be more fun than a cupcake that feeds you and a ton of your friends?! I have a feeling the giant Cupcake cake is going to make some grand appearances at lots of unique celebrations and smash cake baby photos! 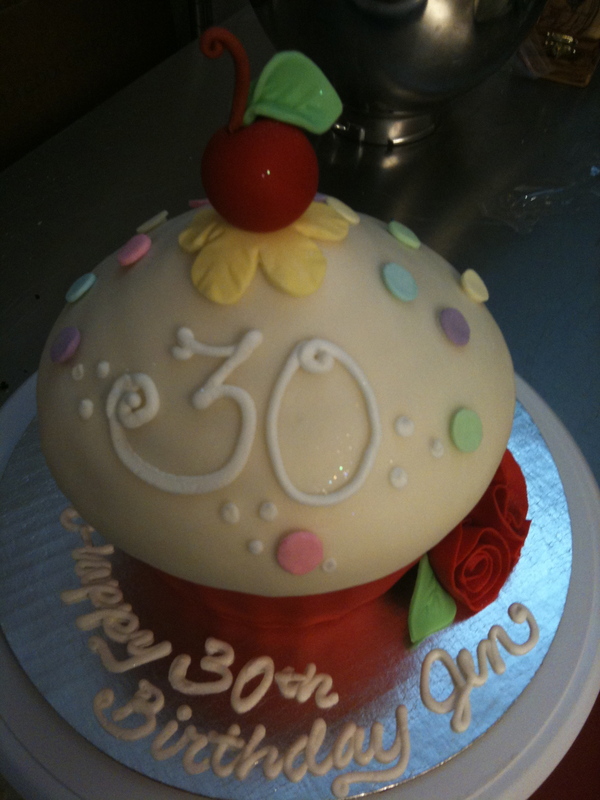 It can be iced in buttercream or iced in rolled fondant for a more cartoon look. It comes fully equip with jumbo sprinkles and a cherry on top! The one pictured here was dark chocolate cake in the cup, white vanilla cake for the top and filled with red raspberry fruit filling! At $48.00, it’s one of coolest cakes to hit the menu and is sure to be a hit at your next party. Have it boxed up and delivered for free in Faribault! ‘Oooohhh’ and ‘ahhhhhh’s are surely expected.